Peace in Our Time: 3 Ways You Can Help! © 2016 Kebba Buckley Button, MS, OM. World Rights Reserved. Our beautiful Planet of 7 billion souls intensely needs peace in our time. Our World now has large civil wars, mass migrations, religious persecutions, mass shootings, urban crime, police attacking innocents, and a lot of people stressed enough to blow any second. Fifteen years ago this day, several thousand died in the US, in terrorist attacks on the World Trade Center and related events. We call that day simply “Nine One One” or “9-1-1”. It is clear we need some peace, some balance, some harmony. My stubborn heart believes we can achieve peace in our time. So how can we get there? Look for Peace Day activities near you. The United Nations has an International Day of Peace, which even the Taliban has honored as a day of ceasefire and emergency replenishments. 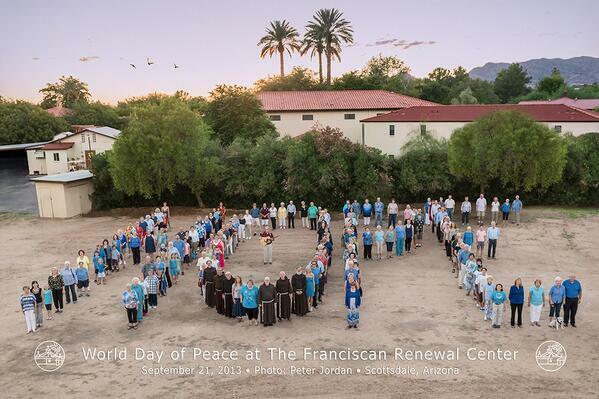 In Phoenix, the Franciscan Renewal Center celebrates that day with programs; check out www.thecasa.org. While Gandhi probably never said “Be the change you wish to see”, you can certainly say, “Be the peace you would like to see.” Be a little individual hub of peace in our time. 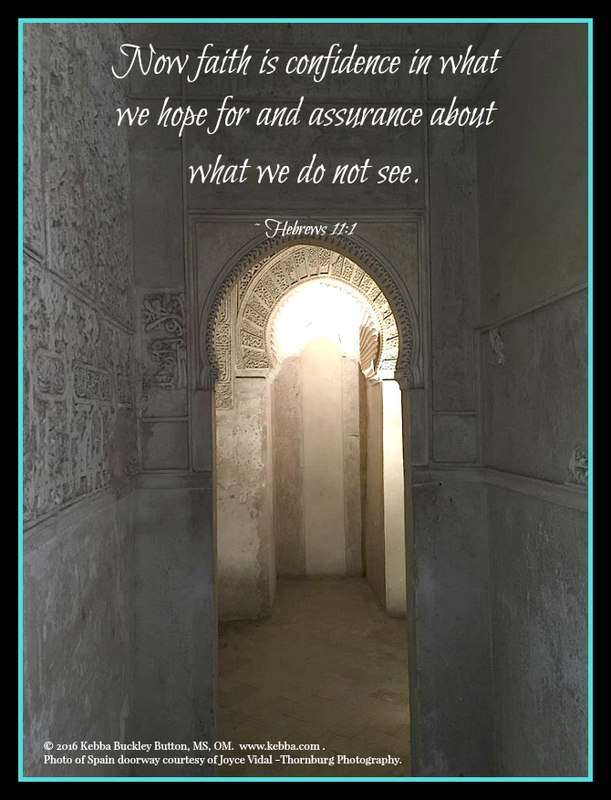 If you enjoyed this post, please click “like” in the FB widget in the right hand column! You’ll have our undying gratitude plus a huge rise in your Good Karma! Due to a recent FB change, our “likes” look low. Thanks for your help! Kebba Buckley Button is a stress management expert. She also has a natural healing practice and is an ordained minister. 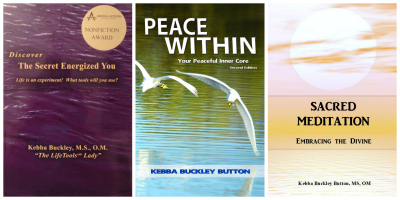 She is the author of the award-winning book, Discover The Secret Energized You (http://tinyurl.com/b44v3br), plus the 2013 book, Peace Within: Your Peaceful Inner Core, Second Edition. Her newest book is Sacred Meditation: Embracing the Divine. That book and Peace Within are available through her office. Just email books@kebba.com or call the office at 480-250-1177. Thanks!